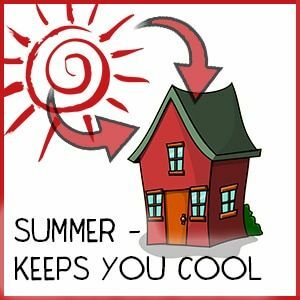 In fact, both the Isotherm Insulation, as well as the Think Pink Aerolite, will help you reduce the effects of the harsh summer heat. We are proud to be the preferred Insulation Installer of both Ceiling insulation products. Roof Insulation Cape Town has hand picked Isotherm and Aerolite as our products of choice. By insulating your roof space with Isotherm or Aerolite Insulation you can reduce the heat flow in the roof by up to 85%. An insulated home will reduce electricity consumption substantially. Most homes will reduce temperature by 4 degrees to 8 degrees. Beat the Winter Chill with Roof Insulation. In fact, Roof Insulation will reduce the heat flow in your roof making for a warmer Ceiling in winter this will reduce the heat flow from inside the house from rising through the ceiling into the roof void space. Roof Insulation Cape Town are installers of Isotherm Roof Insulation and Aerolite Roof Insulation. In fact. we cover the Western Cape, Johannesburg, and Pretoria. We pride ourselves on our service and product quality. Loft Room Insulation, as well as standard Roof Insulation and Drywall partition insulation, are supplied and installed by us. Roof Insulation Cape have been installers of Aerolite Roof Insulation in Cape Town and South Africa for more than 30 years. In fact, Roof Insulation Cape Town are situated in most major centers in South Africa. Roof Insulation Cape cover the entire Western Cape region including the Karoo. For the best Price per roll on Aerolite Insulation or Isotherm Insulation give us a call. Our Isotherm Price per Roll is also the most competitive on the market. Cape Town must have 135mm Aerolite installed and the 145mm Isotherm installed as per the new building legislation. Roof Insulation Cape Town have many years of domestic as well as industrial insulation experience. This gives us the opportunity to do most types of Roof Insulation tasks. In fact, we have roofing teams that will lift most flat roofs and install insulation. All our Roof Insulation installers are very well trained as insulation installed incorrectly is a waste of money. In fact, all work undertaken by Roof Insulation Cape Town is covered by our 5 year workmanship guarantee. In fact the Isotherm Insulation as well as the Think Pink Aerolite will help you reduce the effects of the harsh summer heat. We are proud to be the preferred Insulation Installer of both Ceiling insulation products. Roof Insulation have hand picked Isotherm and Aerolite as our products of choice. By insulating your roof space with Isotherm or Aerolite Insulation you can reduce the heat flow in the roof by up to 85%. An insulated home will reduce electricity consumption substantially. Most homes will reduce temperature by 4 degrees to 8 degrees. Beat the Winter Chill with Roof Insulation. In fact, Roof Insulation will reduce the heat flow in your roof making for a warmer Ceiling in winter this will reduce the heat flow from inside the house from rising through the ceiling into the roof void space.